I was the Master at Madden ’95. My friends and I would play that game on Nintendo for hours back in the day, and I would just unleash slant routes and tear them apart. I got the nickname “Slants” by doing this…I dominated. While in high school, I dominated my Math classes. I was also recruited by some of the most elite College Football programs out there. Going in to College, I thought I was set. I was a Nintendo Champion, I could do Math problems while drawing pictures of hamsters, and College coaches were sending me letters in the mail daily selling me on the benefits of their University. First, I broke my ankle a week before my senior football season, throwing an ax at my chances of a Division 1 Scholarship. Third, I was faking my way through High School, looking for any way to game the system and get better grades. This was the perfect storm, and in the blink of an eye I was heading to college with no major chosen, unsure of what I was going to do. I met with my academic counselor and we did those neat little career assessments to determine what majors I should consider. So I did as any other 18 year old would do and went straight to the library. Architects didn’t make enough money…however, Engineers did, and the rest was history. It didn’t take very long in to my first College semester to acquire a strong sense of “I don’t belong here”. I began to feel that my peers were pulling further and further ahead of me. My self image was in sharp decline, and I found myself at the end of my first quarter with a war of thoughts mobilizing on the horizon in preparation for a point blank attack. From the very first step I took on to the College campus, I was in a constant battle, that only intensified when I set foot in to the corporate world. I remember clearly times when I would walk in to a large meeting with my workmates and just sit silently watching the others converse about the topics at hand. It didn’t matter how many times my boss would shower me with compliments, I never gave myself credit, chocking all my success up to luck. You may be feeling exactly this as you sit there studying for the FE Exam. You may be telling yourself that you can’t do this and that those that do actually pass have something you don’t. Despite surviving arguably one of the most stringent college curriculums and obtaining your Engineering degree, you sit their questioning your abilities. Where do these thoughts come from? Are you the only one experiencing them? Studies have shown that 7 out of 10 people feel like impostors at one point in time or another. I admit, I surely can. When I get an idea to do something new, something with an undefined path for how “exactly” I am going to get to the end goal…I end of waiting to commit until I am certain I can make it happen. Whatever the pursuit is, their are always excuses not to do it. The Impostor syndrome makes sure that these excuses are front and center at the exact time we are making critical decisions. Maybe you are sitting there right now, wanting to take the FE Exam, but think that you don’t have enough time, or don’t know enough…or maybe being out of college for a long time has left you thinking that you are way too far behind in understanding all the material covered on the exam. That may or may not be true…but let me tell you now…it doesn’t matter what you feel you may lack, the Impostor Syndrome is the one driving these thoughts. As long as you are thinking that way, accept that you won’t see any action in your life worth noting…you’ll dig yourself deeper and deeper in to a rut that over time will become harder and harder to remove yourself from. All of a sudden, what you wanted to do tomorrow, ends up being put off until next week, which ends up being put off until next month, which ends up being put off until next decade. So are you in the middle of the war? 1. Do you find find yourself obsessing over the things that are wrong rather than those things that are right? When I first opened up my FE Review manual, I knew right then that there was a challenge ahead. I glanced over the table of contents and quickly found myself transitioning from a state of excitement to one that was anything but that. I was good at a number of the subjects that were listed, but my eyes continued to bounce back to those subjects like Electrical Circuits, Thermodynamics, and Materials…the ones I wasn’t so good at. I was focusing on the “to be” hurdles of my studies, dwelling on the assumption that it was going to take a small miracle to become anywhere near competent in those areas. You see, when we are in Impostor mode, we attract towards the negative, completely discarding the positive. 2. Do You think everything you do should come easy? I would categorize one of the Professional Engineering Mentors that is part of our FE Exam study Program, Prepineer, as borderline genius when it comes to anything engineering. He has a Civil Engineering Background, a California Licensed PE in Civil…arguably the toughest state to get licensed as a Civil. Just this past year, he decided that he wanted to get his Mechanical PE as well, so he taught himself that material…and passed the exam on his first try. From the outside, his journey seemed effortless, and quite frankly amazing, I’ve personally never seen anything like it. But the thing is, what we often see as effortless to someone else, is actually usually the exact opposite. When we see these things in the real world, we just see the “event”, the success…but what we don’t see is the “journey”, the obstacles and struggles that it took to get there. Because of this, when we initiate a new pursuit, like preparing for the FE Exam, we subconsciously feel that it should come with relative ease…I mean that’s what we see others (read, one person) experiencing. So when we experience even the most minor hiccup, we fall back in to a mindset of “I don’t know enough” to pass this exam. We don’t think we are “smart enough”, or “have enough time”, or [Fill in the Blank]. We obsess and tell ourselves that we just are not on the same level as that person (singular) because we aren’t able to do what they are doing with seemingly no effort. And as a result, we quit. 3. Do you believe that what you’re doing is never enough? I am constantly fighting the inner warhead of peer validation. I feel in order to be successful, I’ve got to constantly hear people giving me props for what I am doing. We all want to keep that inner need of recognition pegged full, it feels good that way. For me, in college, it was going after an engineering degree and hearing people say “You are getting an Engineering Degree, wow!”. Nothing is wrong with any of these pursuits, it’s just what is driving us to reach for each of them. We set unrealistic expectations, comparing ourselves with others and think we need to constantly be in the hustle, in the struggle, to measure up with where they are. We are only feeling worthy when we are achieving, as that’s what it takes to get positive attention. So when we are trapped in this pattern, if we aren’t getting that positive attention, we aren’t measuring up…we are falling short. We can’t accept that no one is always achieving, in all possible ways, all the time. "Fake it 'til you make it"
For many years, I walked around with a war raging inside…but no one ever knew. On the outside, everything looked solid. I came across confident, I came across educated, I came across on point. But that was all pretend. College was hard, but at the very least, I had structure. Working in the corporate world, and now at an Educational Startup, things are the exact opposite. Uncertainty is the name of the game day in day out. Abstract problems present themselves in need of equally abstract solutions. On paper, I’ve have had some tremendous successes, but I still have the war waging inside. Even if it has retreated, the combatants are passionate in seeing their mission through. The mission to print the message that I am an “intellectually phony” and it was luck that got me here. The all nighters I’ve pulled to support my students. The tens of thousands of hours I’ve spent educating myself and sharing with my students. The commitment I’ve made to instill change in an Industry that is desperately in need of disruption. It hasn’t been any of that…it’s all been Luck. Do you feel like you are pretending to be someone you aren’t? Is this how you feel inside? Don’t worry if the answer is yes. Accept it, it’s real, and rest in the comfort knowing that you aren’t alone. At this point, we (collectively) can do one of two things. We can either brush it off as if it’s not happening, or we can take intentional action in changing it’s course so we can learn and grow towards our true will in life. I’ve been aware of the Impostor Syndrome for some time now, and since identifying it as a primary contributor to the obstacles that were setting themselves in front of my face, I’ve been aggressively pursuing a personal counterattack to minimize it’s affects. I can look back and say with confidence that I’ve personally come a long way. One benefit at this point is that I can objectively look back at my personal journey, and in doing so, conjure up advice for that person stuck in this state of mind. There is so much I could say, but to honor brevity, here are three tactics I would give the old Justin had I’ve been able to communicate from the future. On any given day, many things can happen that make us feel slighted. Maybe in your case, you were left out of a large meeting at work on a project that you have been a major contributor on. This is the clear, unobstructed, dark path that the mind tends to go down. But what I have learned over these years is that their is one thing that can stop this Impostor thinking dead in it’s track. Sounds simple right, it is. Everything that is running through our minds right now is pure speculation. How do I know that I am the only one struggling to understand the FE Exam material? How do I know that my students aren’t getting enough value out of my FE Exam study program, Prepineer? How do I know that I shouldn’t be writing about maximizing performance both on the FE Exam and life? How do I know those things? Research tells us that the Impostor Syndrome is irrational, yet, I sit here accepting everything that it is telling me. So to counteract that, I now ask. I ask my friends, or other people in the Prepineer forum, if they are struggling in their studies. I ask my students in Prepineer how we are doing and what we could do to make their experience even better. I ask our readers if they are finding inspiration, motivation, and value in the words I am writing. And now I have true Reality. I’ve passed the FE Exam. My students continue to gleam about their experience with Prepineer. I continue to get “Thank You” letters daily for providing the inspiration, motivation, and value that I do. So I continue, despite what the impostor wants to me to do. And that’s what you must do to. 2. Focus on the strengths of being different rather than the weaknesses. When we are in an impostor state, we just try to blend in with the pack. We view our differences as things that need to be overcome, balanced out by more effort, more ‘pretending’ in areas we view as valuable. From my own life, naturally, I am an introvert at heart. So when I see all these talents out there expressing their opinions so eloquently on specific issues, my initial thought process is that I can’t hang. I once looked at my introversion as a weakness that I needed to overcome. It wasn’t until I began getting repeated feedback about how thoughtful I was on some topic, or how my research and conclusions were spot on, that I realized that what I thought was a weakness was actually one of my strengths. That strength being the ability to sit back, be objective, gather facts, rally the troops and provide valuable insights. This doesn’t mean I don’t have areas that I need to develop…this means that I have areas that are developed now that the world needs….so I need to push forward exercising my natural gifts…otherwise I am doing both myself and those in need a disservice. Today, I am aware of my weaknesses, but I choose to focus on my strengths, leaning in to my fears and taking action regardless of what the impostor is telling me. This is probably the one that’s going to hit you hard, because it hit me hard when I first admitted it. For years, I would bury my emotions deep in to the pit of my stomach. I would fall in line and try to perform at the things I thought others were looking for, rather than doing the things I truly wanted to do. You know the term “fake it ’til you make it”…that was my life. So I felt that by acting like someone else, it would help me get to where I wanted to be…that I would eventually after time become that person. Looking back, that’s just a dumb way of thinking. In faking it, I closed myself down to any opportunity to grow and learn. I closed myself down to times that I could relieve my vulnerabilities and come out stronger. I’ve learned that through vulnerability, some of my greatest progress in life has come. There is a power that lies between us verbally opening ourselves up to these vulnerabilities, and the wisdom and knowledge from others that can come from it. Here is the greatest lesson I’ve learned from this…everyone has their own issues and baggage to deal with. We are all suffering in some way or another, and if we can just see that our pain is just a part of the collective pain of human suffering, we can realize that at the very least we have each other and are in it together. The more willing you are to open up, the more willing (and able) others will be ready to help. So start with your best friend, your spouse…heck your dog. It doesn’t matter. Just release the built of tension you’ve stored inside for so many years. Over time, you will find it easier to open up, and in doing so, your situation, mindset, progress will significantly be better because of it. Just don’t sit here and pretend that your insecurities don’t exist, open up, be you. There have been some amazing stories that have come over the past 5 years working with EngineerInTrainingExam.com and Prepineer.com. Stories of students who had failed the exam 5 times, then found my site, restructured their approach, and went on to be successful. Stories of students who had been out of school for 30+ years, having not opened up an engineering book in what seemed like ages, yet they connected, committed, and made the FE exam a thing of the past. Yet, even with experiences like these, it may seem like my site has gone off without much effort, but the insecurities that seep behind don’t ever go away. This is the reality to some extent for everyone. Today I sit here writing this article to 10,000 plus people, I’ve served almost a half million lessons to engineers all over the world…and I still dominate all my friends in Madden. But, even now, I feel like an impostor at times. As long as we accept it as a known quantity, we can take daily action against it and not be surprised when it pops up telling us to step back and stop pushing so hard. The more intentional action we take, the less and less it defines our lives and the more and more we can be ourselves. When we are ourselves life becomes seemingly effortless because we are living out in line with our true intentions. You belong right where you are, and you are going to do some amazing things in your life. Trust that it becomes easier. 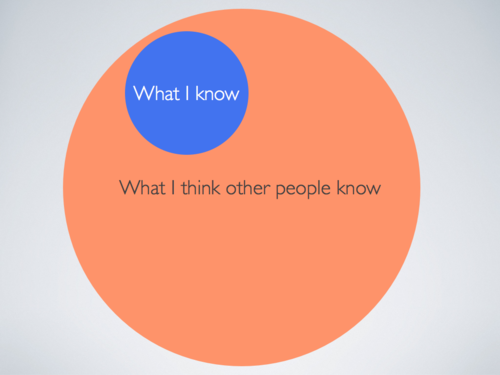 How do you deal with the Impostor Syndrome? Share your experience in the comments. 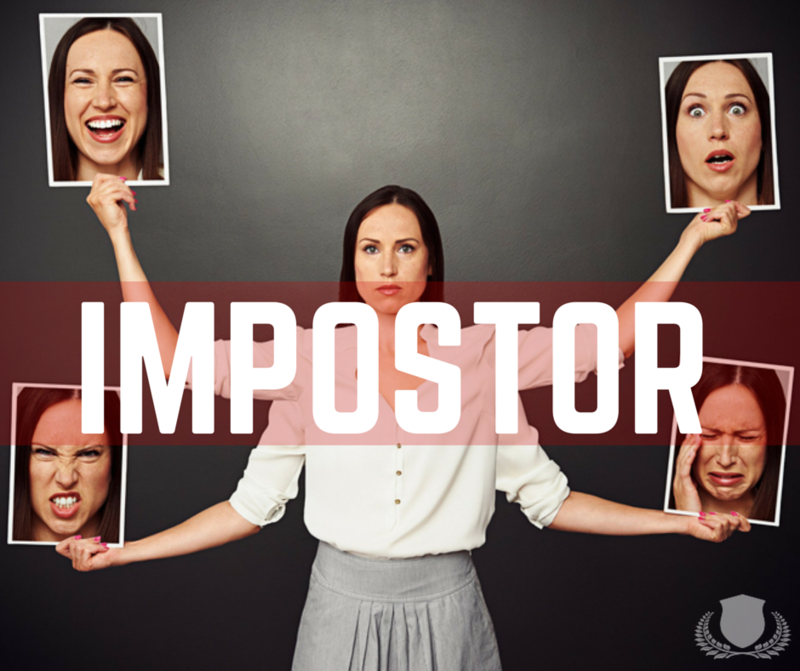 Do you know someone who has been struggling with the impostor syndrome? Click the share button right there on the left side to help them with a push in the right direction. Start Your FREE Trial of Prepineer Today! A turn-key program combining world-class content with a collaborative community, making studying and passing the FE Exam easier then ever. Thank you for the words of inspiration! Very helpful. As an environmental studies major I thought I was incompetent once I started studying and getting answers wrong. I’ve let the imposter take over for the past six months, until now. Eric, you got it my friend! So happy to hear that you will be taking the initiative of getting back at it. The impostor is in us, it’s part of us, and will be with us forever…the key is recognizing this, and “leaning” in to every single day. When I was rearing up to take the FE for the third time, I was scared. What was wrong with me? Why couldn’t I pass this stinkin’ test! I had done everything right. Graduated from a top tier engineering school. Got an awesome job. I’d even gotten promoted! But I couldn’t help but think that I didn’t deserve any of it. I chalked it all up to luck (as ridiculous as that seems). Prepineer helped me find my confidence again. I refocused and restructured my study style. Sure enough, after some due diligence, I passed! It’s totally normal to feel like an impostor sometimes. As engineers, stress is the name of the game and being overwhelmed can sometimes feel like a permanent state. But that’s okay! After all, you can’t learn to swim if you’re never in over your head. You are such an inspiration. Your story is something that many can look to day in day out as they combat the war that is within. One part of your story that really sticks out is the fact that you did the one thing we all need to do…accept that the Impostor is real. You accepted it for what it was and knew that passing the exam was going to not only take building up your understanding of the material, but establishing a process to limit the effects of that impostor. You did it, and that was all you, Prepineer was just there to support you along the way!! I had a similar story starting out that pushed toward Arch. and then ultimately away from it too. It seems like I justified the career change but then didn’t think I could actually do it once I made the change. I think that’s part of the reason the FE exam is important to me. I can’t even tell you how many times I have thought “Is this really what I should be doing”. The Impostor makes us question everything we do, it’s a “punk” in that sense…but as you are doing, pushing in to it is the exact recipe for success. Such an inspirational story. Having registered to Prepineer already two years ago, I kept postponing starting because my work can take me up to 60 hours a week. Going back in track today starting by page 1. Need a starting boost to figure what do I need to start with!